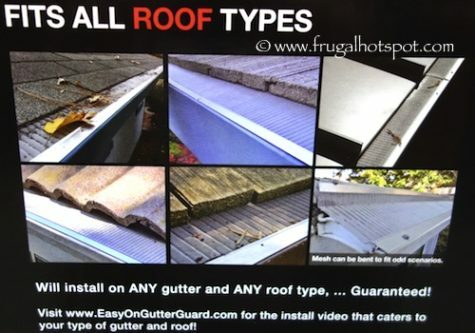 Keep leaves, pine needles and roof grit out of your gutters. 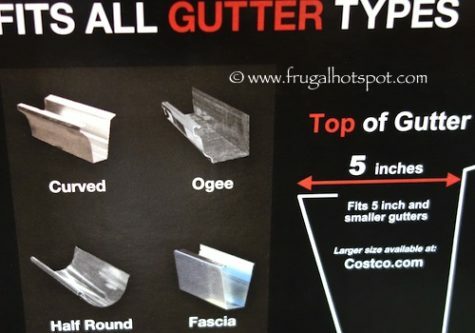 Costco has the EasyOn GutterGuard DIY Micro-Mesh Gutter Protection System on sale for $59.99 (after instant savings), now through April 29, 2019. That is $10 off Costco’s regular price of $69.99. While supplies last. Price and participation may vary by location. Item #862698. This product was spotted at the Covington, WA location. Price and participation may vary so it may not be available at your local Costco or it may not be on sale at your local Costco or it may be a different price at your local Costco. Prices & sales dates may change at any time.